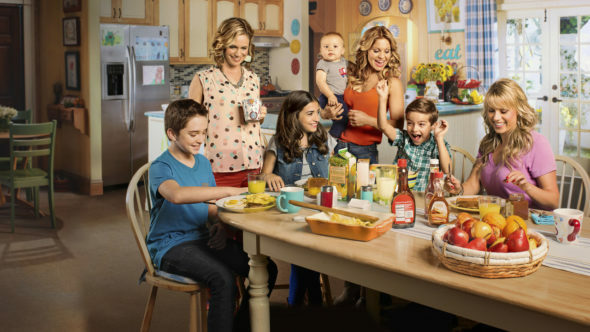 Fuller House is coming back in a big way this fall. Today, Netflix announced season three will debut in September, celebrating the 30th anniversary of the original Full House debut. A spin-off of the 1980s sitcom, Fuller House follows an adult D.J. Tanner-Fuller (Candace Cameron-Bure) as she moves back into her childhood home with younger sister Stephanie Tanner (Jodie Sweetin), best friend Kimmy Gibbler (Andrea Barber), and her three sons. The cast also includes Michael Campion, Elias Harger, Soni Nicole Bringas, and Scott Weinger. Season three of Fuller House is set to premiere on September 22nd, the same day the original Full House debuted in 1987. What do you think? Are you a fan of Fuller House? Are you excited for the new season? Fuller House: Is the Netflix TV Show Cancelled or Renewed for Season Four? Just started watcging this show and am pleasantly surprised! It’s very fun and entertaining. Looking forward to seeing the rest of the episodes. Very well done revival/reboot. Apparently you really can go home again.